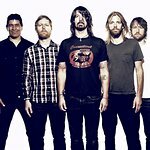 Celebrity charity support continues to roll in for victims of last month’s devastating earthquake in Christchurch: the Foo Fighters have just announced a charity concert in New Zealand, and Russell Crowe has been in the city to boost overseas awareness. Foo Fighters frontman Dave Grohl has confirmed he will bring his band to New Zealand next week to raise charity cash for victims of the Christchurch earthquake, after dropping hints about his plans in the aftermath of the disaster. 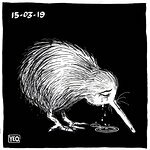 The band will perform at the Auckland Town Hall on March 22, with proceeds going to the New Zealand Government Christchurch Earthquake Appeal. Tickets go on sale on Friday. New Zealand-born actor Russell Crowe visited Christchurch earlier this week to get a first hand view of the devastation caused by earthquake that killed over 160 people on February 22. The actor was in Wellington on Sunday to coach a celebrity team in a charity cricket game that raised $500,000 for the thousands of people who lost loved ones, homes and livelihoods in the earthquake.